Borussia Dortmund's Marco Reus has not been included in Germany head coach Joachim Löw's 26-man squad to face Spain in Düsseldorf and Brazil in Berlin on 23 and 27 March. Reus, 28, was expected to get his first call up for almost two years, having recently made a spectacular return from a serious ankle ligament injury, but picked up a groin strain as Dortmund exited the UEFA Europa League to Salzburg on Thursday, and will not be risked. "With Marco, it's important to be cautious and make sure we don't put any unnecessary pressure on him," Löw explained. "Above all, he needs to be playing regularly without any pain, so he can get into a rhythm." 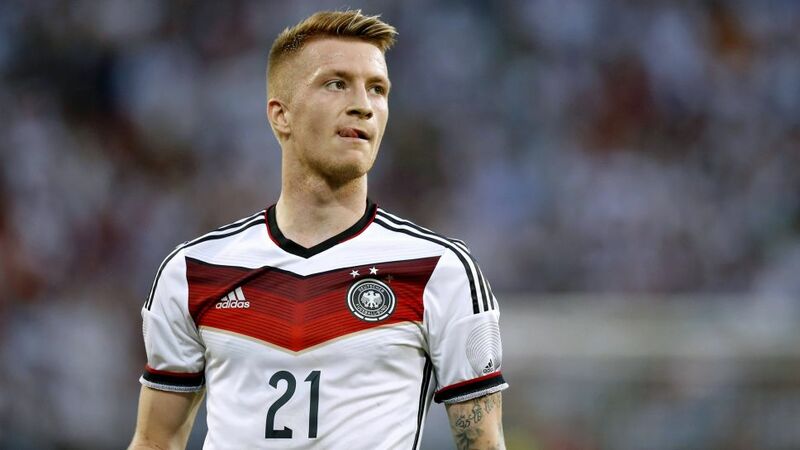 Reus last turned out for Germany in the March 2016 friendly win over Italy, but has not played at a major tournament since Euro 2012 due to a rotten run of injuries. Dortmund team-mate Mario Götze, who scored the winning goal against Argentina in the 2014 World Cup final, also misses out. Stuttgart striker Mario Gomez, 32, makes the grade, with Löw resisting the urge to call up any uncapped players. The 58-year-old will name his provisional World Cup squad on 15 May. Click here for more on the four squads Joachim Löw could take to Russia!